Tomorrow (September 3rd) is ‘Cycle to Work Day’ – a national event encouraging as many people as possible to take to two wheels and cycle to work. 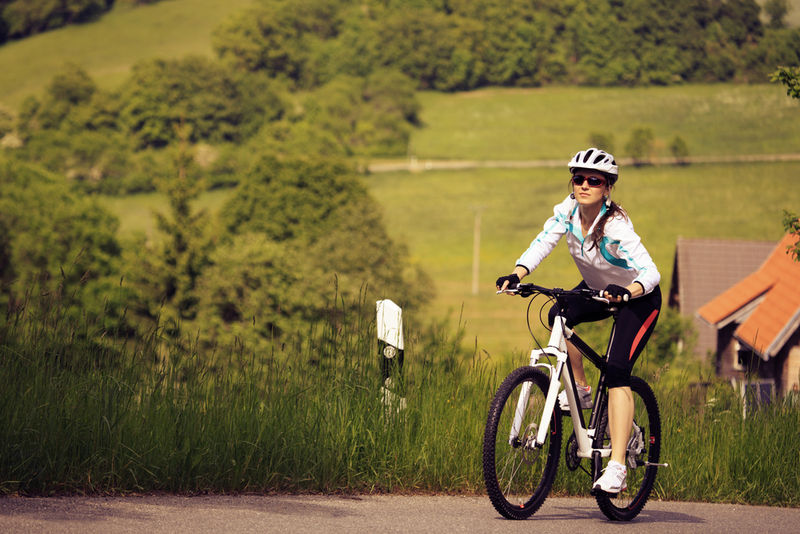 But cycling is a great way to keep fit year-round whilst enjoying the great outdoors – fresh air, exploring the countryside – all whilst getting a work out. Clinical Nutritionist, Suzie Sawyer, shares her top dietary tips for super cycling success. Congratulations if you’re getting on your bike tomorrow and cycling to work for the first time. But if you want to take advantage of the many health benefits associated with cycling longer term, and particularly if you’re planning for it to be the beginning of a new regime, then have a look at how to maximise the benefits of your time on two wheels with a good nutritional plan. Congratulations if this is the start of a new fitness regime! If you’re cycling because you want to lose weight then don’t over-compensate by eating additional calories just because you’ve exercised: if you put in more calories than you expend, then weight gain will occur. Sports drinks and shakes are often calorie-laden so unless you’re doing lots of additional exercise, or are competing in an endurance event, just adapting your diet will be sufficient. Water, water, water! Many people are generally dehydrated regardless of the amount of exercise they do! So make this a great time to get into some good water habits and try to drink at least 2 litres of water daily. It’s all in the planning! It’s not difficult or complicated to eat the right foods to support additional exercise: just take a little longer before your food shop to plan you meals for the week ahead. 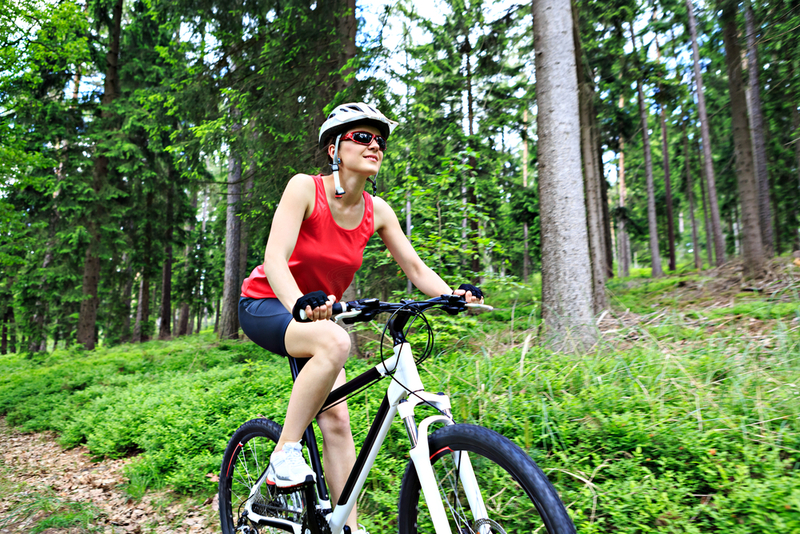 Cycling is an excellent sport and provides an all-round body workout. It’s great for the heart, it will give you iron thighs and brilliant upper body strength, so always remember to do a full body warm-up before you tackle any big rides. As with any exercise, fuelling up before you start out on your bike, and recovering properly when you get back, is the key to sporting success. The very best way to start your day before you jump onto your bike (just ask the professionals including Chris Frome!) is to enjoy a bowl of porridge. Make it with wholegrain oats, your choice of milk – coconut milk is great for providing energy – together with some blueberries and sliced banana on the top. 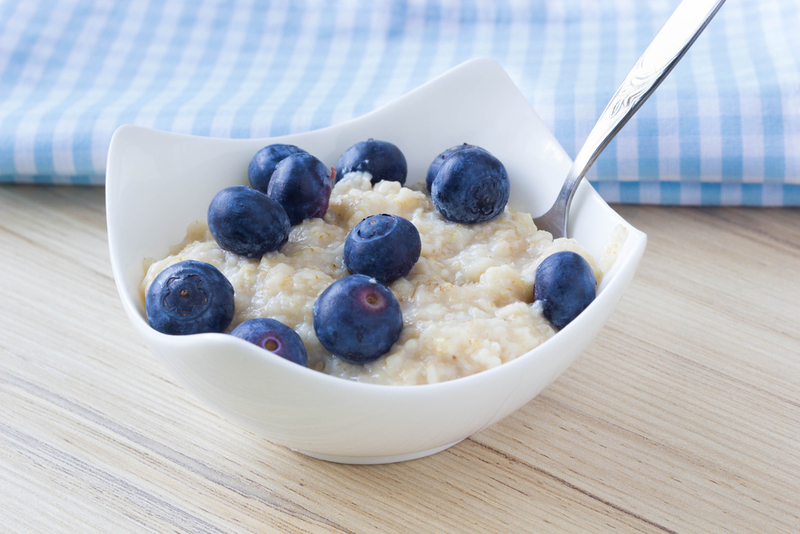 Oats are a slow-release food, meaning that the energy provided from the oats will keep you sustained throughout your journey and you won’t suffer a dramatic low when you arrive at work. Berries also have a low glycaemic index, or are slow release, and bananas provide some slightly more immediate energy. So, you’re now fuelled up and ready to go! Hopefully you arrive at work safely and feel invigorated, ready to start your day! What you eat (or not) really depends on how far you’ve just cycled! If you’ve cycled for around half an hour, then you should be fine until your mid-morning snack. 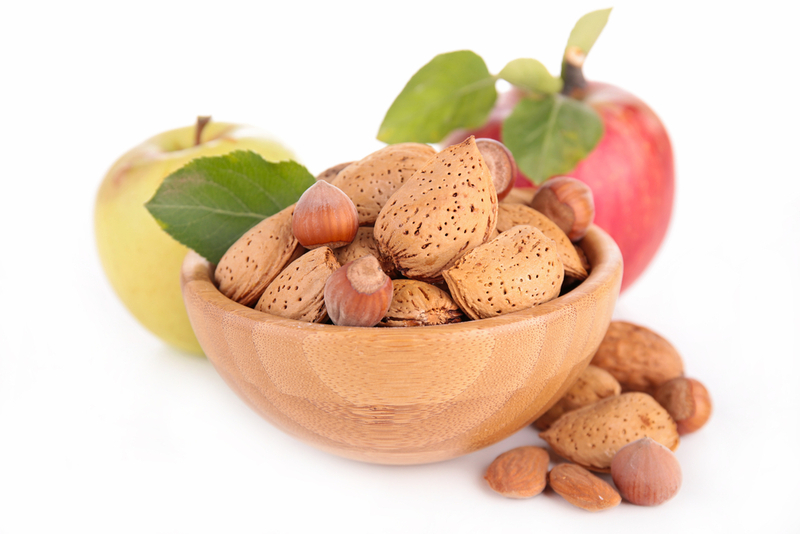 Why not make a low glycaemic snack; an apple with a few nuts and seeds will be perfect. If, however, your journey took you closer to an hour, then a snack would be a good idea as soon as you arrive at work. A combination of protein and carbohydrate would be perfect. For example, you might like to take a small amount of cereal with you to eat on arrival; a pre-prepared smoothie with a few brazil nuts included would also be a great choice. Whether you’ve decided that the Tour de France is definitely in your future plans, or you just want to join in the fun of being out on the open road on two wheels, make sure today is the day that you keep your body properly hydrated. The body is over 75% water, so the general recommended amount of water to drink on a daily basis is around 2 litres. Depending on how much cycling you have done, you may want to up this to 3 litres or more. Lunch can often be a challenging meal for us as we are so busy at work, and it can so often be dependent on food availability. 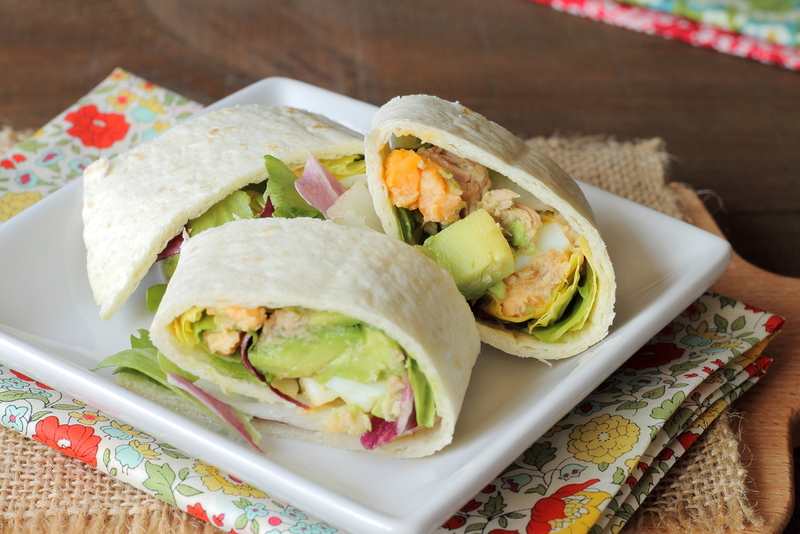 So if you take your lunch with you, you can come armed with a healthy, nutritious lunch packed full of protein; for example, a mixed salad with chicken, tuna or prawns. Don’t fancy a cold lunch? Most work-place environments have some kind of ‘heating-up’ facility – often a microwave – so a chunky soup, containing vegetables, lentils or barley with a wholemeal roll, would be a great option. Why not make a simple jacket potato with some tuna. 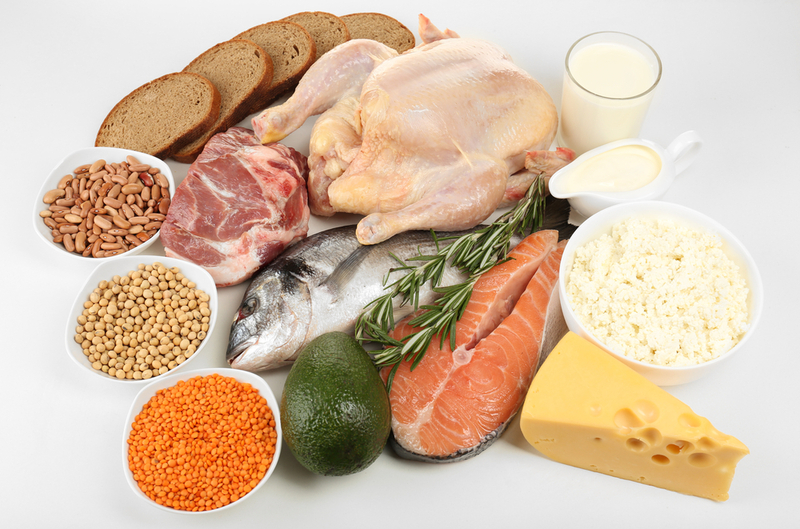 Whatever you choose, always ensure you eat some protein – chicken, fish, egg, tofu or beans – which will help you avoid that 3 pm slump! If your ride home is only a short one, you might want to consider extending your route! Remember, this could be the start of a new regime, so enthusiasm at the outset is key. However, you’ll no doubt be looking forward to your dinner once you arrive home, so make sure you use this as a real opportunity to re-fuel and give your body as many nutrients as possible. Here is a quick and nutritious dinner option: oven-baked salmon with pesto quinoa, with some baby tomatoes and coriander thrown in, plus some steamed spinach and broccoli. High in essential vitamins, minerals, essential fats and fibre, low in saturated fats and totally delicious! So as you take off on your bike tomorrow don’t just think about it as a one day one-off; think of it as the start of something really exciting and rewarding for you and your body! Good luck!